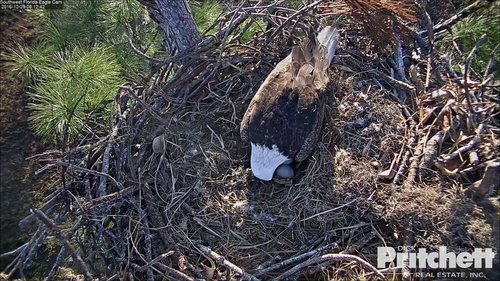 4.13 H vocal, up view of eggs, H to the porch still vocal, leaves tree toward pond. Good looks at eggs and no pips seen yet on sides that were seen. 4.20 H back and incubating. 5:09 ish H up for a few minutes. No pip seen. 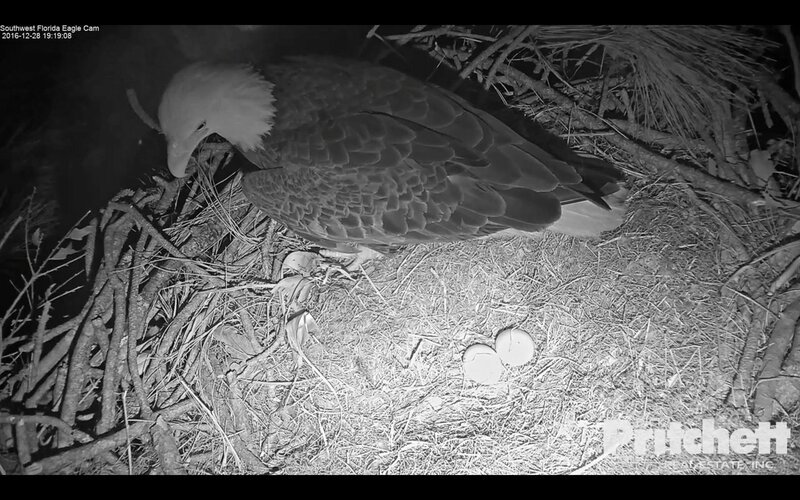 Back to incubating at 5:12. SWFEC team for all your observations and scaps! 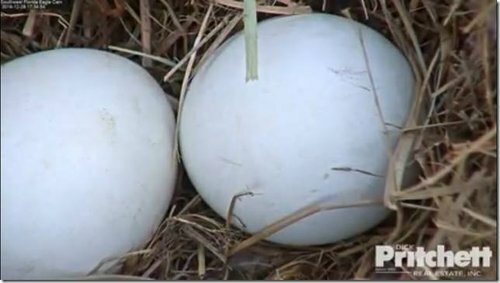 Eggs at 5:33p.m. Saw no pip myself. 5.57 H up again, aerating around the bowl and rim, nest is so ready for eaglets nudges an egg and back to incubating at 5.58 with an anchor of the beak and shimmy down. 6:00 and Dad arrives with grass to mess it up again. 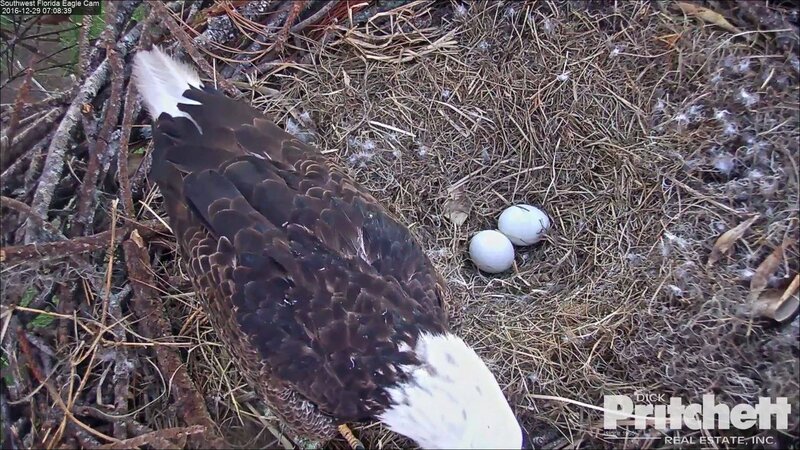 6:01 H flies to the outer branch. 6:05 H flies back to the outer attic branch. 8.18 H up, lot's of skeeters checking the eggs lol, back to incubating. 8:32 H is up. Harriet looking at the eggs. And back to incubating. 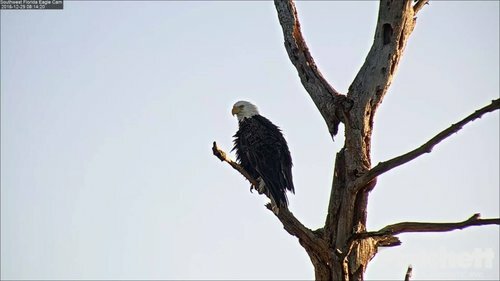 "The cell tower is now the tree that used to be"
Good morning eagle lovers! Enjoy your day! This is a place to quickly catch up on the events that take place on the nest - I post each morning. Instead of waiting for your question to be answered in our chat session, perhaps u can scroll thru these pages and find out quicker. Thank u so much for joining us in chat, we really enjoy seeing u all. We know the time waiting for a moderator to post your comments have been long but we are trying our best to answer everyone's questions and to greet all of our new viewers from around the world. We want to thank u so much for your patience during this super busy time! We appreciate it and look forward to see u all again very soon! REMEMBER: Learn to trust the eagles! 5:25 Harriet getting a little shuteye while she can. 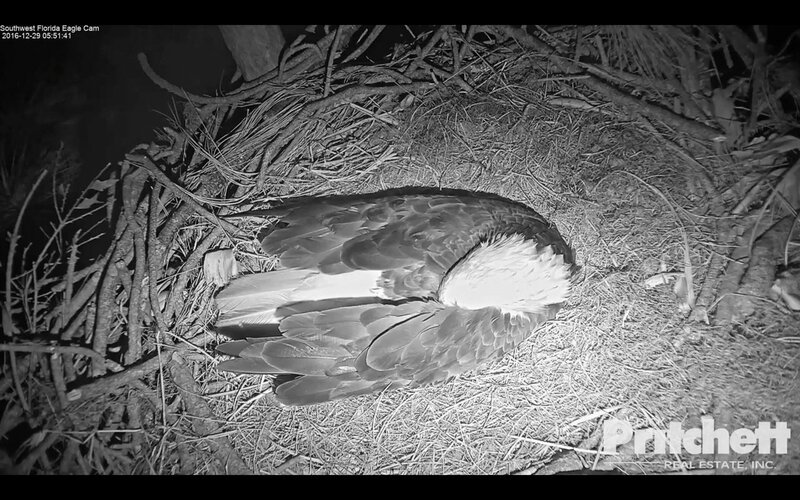 5:32 Harriet sitting up preening. 5:33 short vocals and a good wing stretch. She looks at the eggs for a short time, preens some more, aerates a little and back to incubating at 5:35. 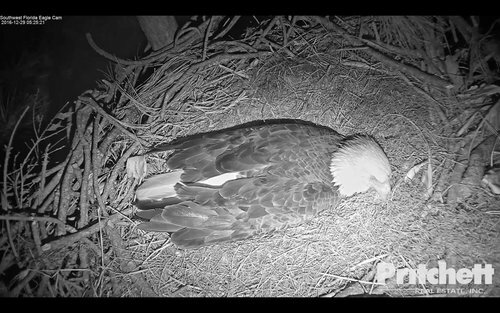 6:03 Harriet sitting up again. Short vocals. Some preening and more short vocals. 6:15-6:39 vocals on and off. 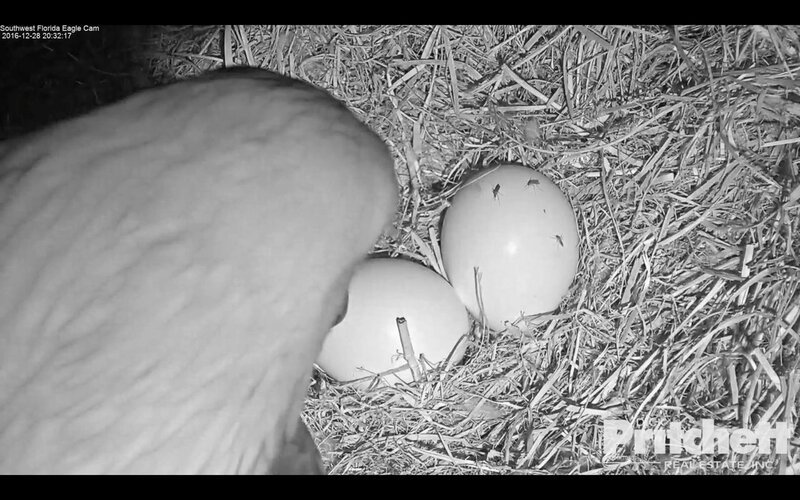 6:43 H up and flies to the oct. M takes over incubating. 6:56 M up for a roll and reposition. Back down. 7:03 vocals between the two. 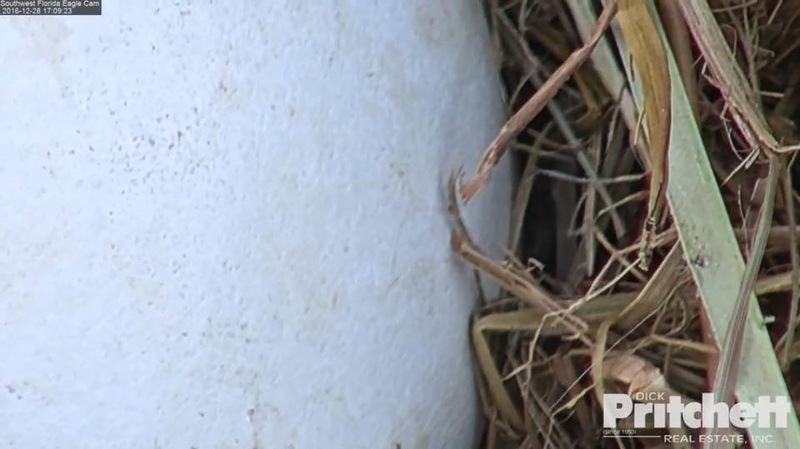 H turns on the OCT to face the nest. 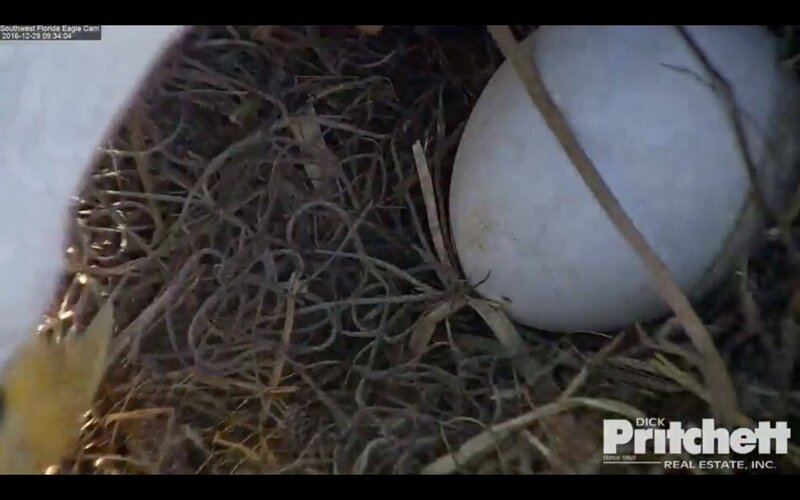 Eggs were uncovered but no pip yet. 7:20 Looks like M trying to cast a pellet . 7:40 H up an off the eggs good look no pip to see yet. 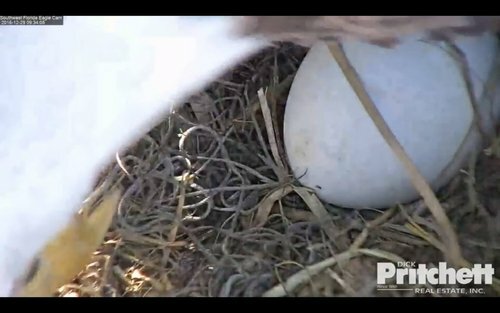 7:42 M to the nest H to the OCT.
8:13 M up for a reposition. 8:14 H remains in OCT, preening and still drying off. Crop drop seen also. 8:29ish H flies off the OCT. Didn't see her on the power pole. Per bobmcl: Good morning! I reported H arrived at 925. 9:50 M15 up for a fast re-position. 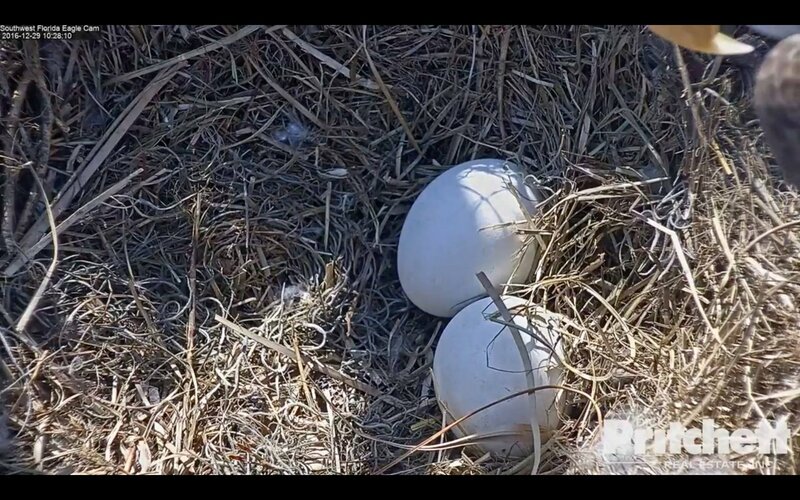 10:27 M15 up eggs uncovered. Per bobmcl: At 1030 H left the pole. I am signing off. Hagd! 11:46 M15 up and down. 12.06 M up, moves nesting a bit, aerates, I see no pip on right egg in view, back to incubating.